1. 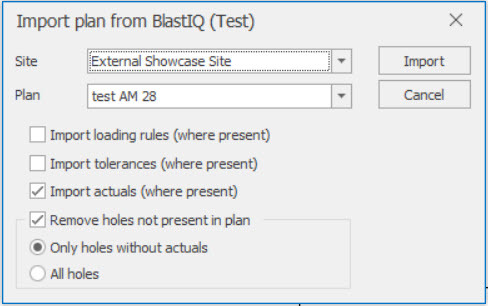 Import/Export settings for BlastIQ™ are set under the Blast Properties. By default, 'Apply loading rules after import' is not selected. Modifying these settings will set the defaults for imports/exports from the BlastIQ™ System. 1. If loading rules are written in SHOTPlus™, they can automatically be re-applied to respond to conditions recorded in the field. To enable this functionality, the option to 'Apply loading rules after import' must be selected. 2. 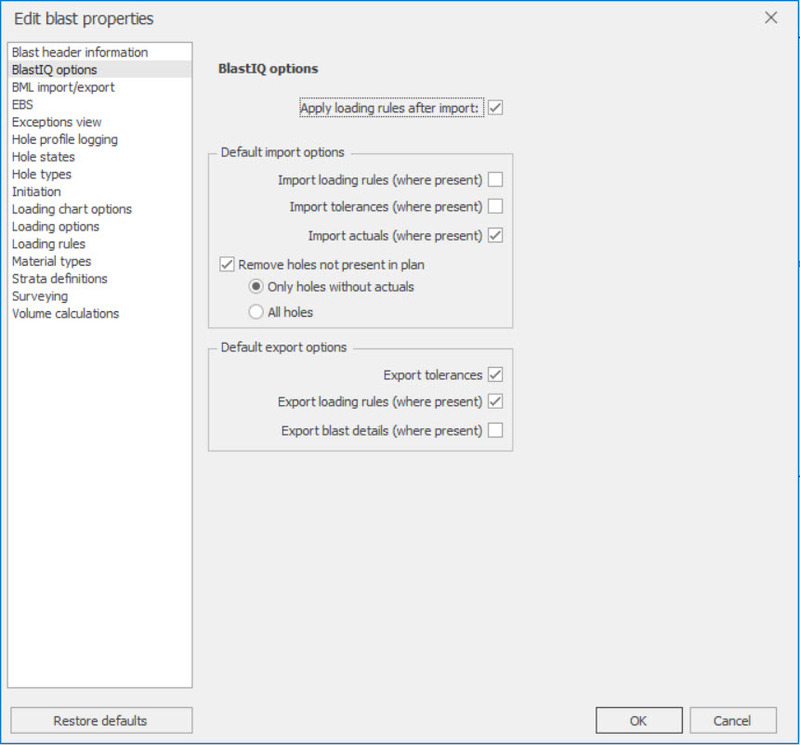 Regardless of whether or not the option is selected to apply loading rules after import, application of a backfill deck will occur automatically to ensure that this data is captured from the field accurately.